Today Toby carried on the work Eagles have been doing on teaching & learning skills. 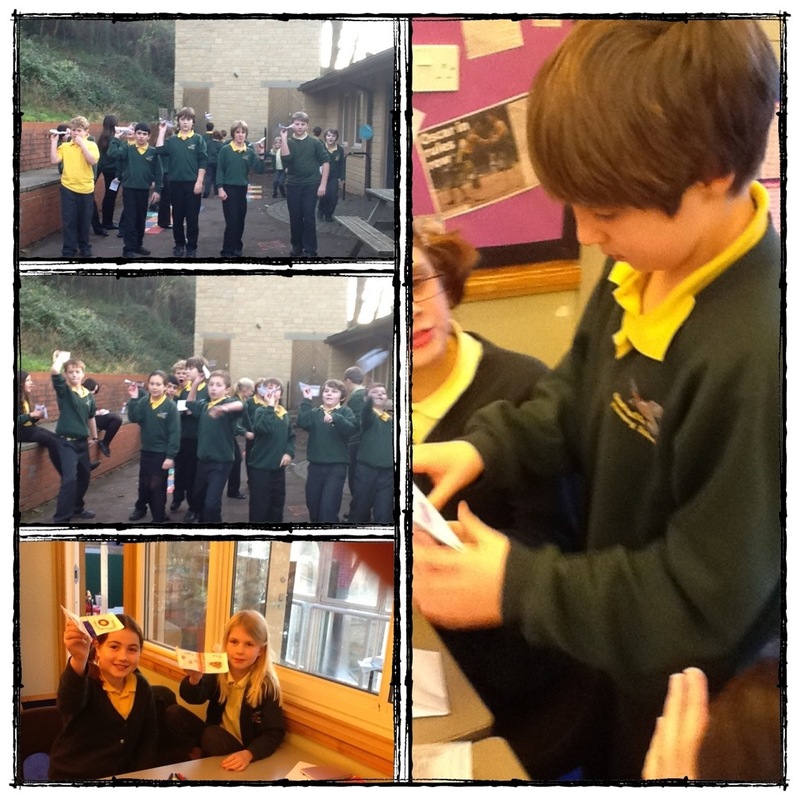 He was the teacher for the afternoon, with very successful results – everyone made a fantastic, specialist paper plane! Peregrines have been supporting each other and being good ‘buddies’. … you can’t catch me I am the Gingerbread man made by Ospreys! Listen to the links below to see what we sounded like on the radio. Ospreys have been busy trying to receive their bronze, silver and gold awards for achieving their targets. well done to everyone who met their targets. Thank you to everyone who braved the rain today to come into school and see what their children were doing. Ellen & Matthew came to tell me all about Ospreys investigating solids, liquids and gases. They have been making their own ice lollies. Ospreys have been busy at Forest School recently. The children in Sparrowhawks have each painted their own platypus, as they have now been fired in the kiln. They used traditional aboriginal style designs. 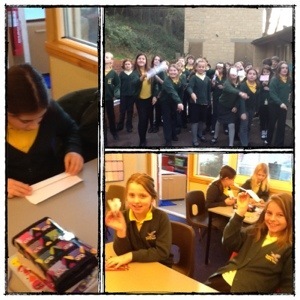 Ospreys have been busy testing the properties of solids, liquids and gases. Have a look at the chocolate apples they made.